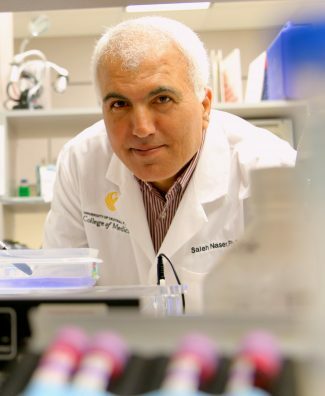 Naser holds a Ph.D in Medical Microbiology from New Mexico State University. He joined UCF in 1995. He has been investigating Crohn’s disease and other auto-immune diseases for more than 30 years. He has published more than 100 peer-reviewed articles and has presented his work at numerous conferences. He has several patents including a licensed DNA technology for detecting MAP. 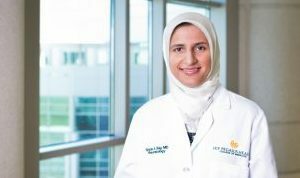 Bég, a board-certified rheumatologist, has been with UCF since 2011 after completing her fellowship in rheumatology at Baylor College of Medicine in Houston. In addition to practicing medicine at UCF Health, she is a full-time faculty member at the college. Her research and clinical interests include conditions such as rheumatoid arthritis, psoriatic arthritis, lupus and osteoporosis. What an amazing discovery! These diseases have been so hard to treat without knowing the etiology. All of our students aiming to be health professionals should realize that having some background in genetics is going to be very important for effective treatment of patients. I had a paternal grandmother who had RA so I believe I have a genetic link for RA. In 2002, I was diagnosed with latent TB. Fall of 2008, I was diagnosed with RA. Is there a link, the answers can't come fast enough! Im sure this is right as I have both. Do you think diabetes 2 is connected aswell. thank you.